Titanic, the gigantic ship started its venture on April 10, 1912, five days before it collided with an iceberg and sank into the frigid water of Atlantic on its maiden voyage. More than a century of research and debate, have brought different theories and facts about the ship, which has become famous even after the failure on its first expedition. Fourteen years before the Titanic expedition, writer Morgan Robertson wrote a novel 'Futility', a story of a huge ship named 'Titan' that hits an iceberg in Northern Atlantic. Like Titanic, Titan too didn't have enough lifeboats which claimed more than 1000 passengers' lives. Read on to know such interesting facts about the unsinkable ship, Titanic. 1. The Royal Mail Ship Titanic was the world’s largest passenger ship and the largest man-made moving object on Earth. 2. It had left the port of Southampton, England and was heading for New York. 3. Titanic's interiors were loosely inspired by the Ritz hotel, London. It had amenities like squash court, gym, swimming pool, Turkish bath, a dog kennel. 4. It even had its own on-board newspaper – the Atlantic Daily Bulletin. 5. The ship which is known for its royalty had only two bathtubs for more than 700 third class passengers. 6. It took 2 hours and 40 minutes to sink in the ocean after colliding with the iceberg. 7. Speaking about the iceberg, its age was around 1000 BC when it hit the ship. 8. The musicians were so dedicated that they kept playing for two hours and five minutes before the ship sank. 9. The Titanic was equipped to carry 64 lifeboats but carried only 20 among which most of the lifeboats were not filled to capacity. 10. Unaware about the sinking, the chief baker had consumed a generous amount of alcohol which kept him swim for two hours in the freezing Atlantic water before he was rescued. 11. Out of more than 1500 deaths, only around 350 bodies were found. 12. The remains of this massive ship were found in 1985, at 2,500 feet deep in the ocean, seventy-three years after the ship sand. 13. A lifeboat drill was scheduled in the day Titanic sank but it was cancelled by Captain Edward John Smith. 14. 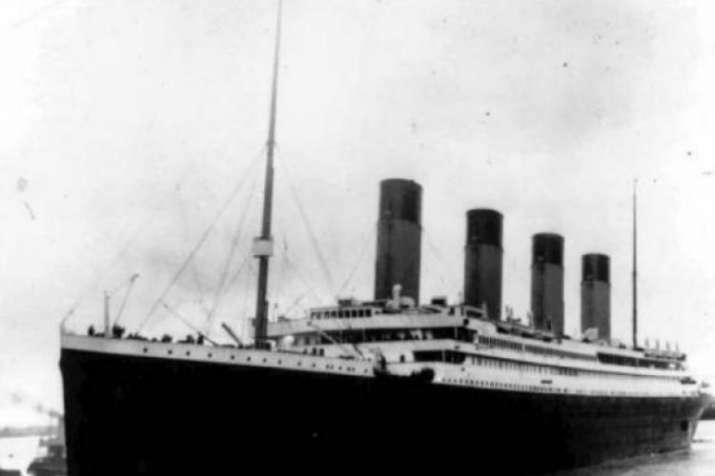 A ship named Californian was just 20 miles away from Titanic when it hit the iceberg. Distress signals were also sent to Californian but its wireless operator had already gone to bed. 15. Out of four iconic smokestacks, only three worked and the fourth was to make the ship look impressive.